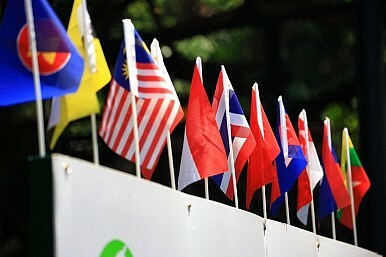 Why “people-centered” should become the core policy of ASEAN’s post-2015 agenda. First, this definition should not only appear under the ASEAN Socio-Cultural Community (ASCC) section of the document; it should ultimately form the core definition of a post-2015 ASEAN Community that comprises the two other key pillars: the ASEAN Political Security Community (APSC) and the ASEAN Economic Community (AEC). While the notion of “people-centered” does cover all the three pillars as evident from the adoption of the Kuala Lumpur Declaration on a People-Oriented, People-Centered ASEAN in April of this year, it remains under-developed and arguably rhetorical. Just two weeks after the Kuala Lumpur Declaration was signed, three of ASEAN’s founding members – Thailand, Indonesia and Malaysia – turned away hundreds of boat people who had entered their territorial waters in search of refuge. Their actions were heavily criticized by the international community and were seen as contrary to the idea of a people-centered ASEAN. The plight of the stateless Rohingya, one of the most persecuted minorities in the world, has remained off the political agenda of ASEAN despite calls and best efforts by activists, scholars and parliamentarians. Hence, second, choosing to associate “people-centered” with less critical concerns such as social welfare, climate change, migration, and people-to-people exchanges will never be adequate. A plethora of critical issues that span political, economic and social realms – the disappearances of human rights defenders, widespread corruption, the dangers of unmitigated free trade agreements, the growth of religious extremism, land and natural resource grabs, police brutality, the strengthening of repressive colonial-era laws and many more – were highlighted by the ASEAN People’s Forum 2015 as threats to a people-centered ASEAN. ASEAN must be capable of addressing difficult issues openly and in genuine cooperation with various stakeholders, especially civil society organizations who have been calling for the regional body to uphold democratic values and international human rights principles. This leads me to my third point. ASEAN will not be effective in addressing those threats if it continues to function as usual. While the ASEAN Way, characterized by the norms of informality, non-confrontation, and consensus-building may have served it well in the past, developing a truly people-centered ASEAN that involves “…all sectors of society in ASEAN’s work” and where “ASEAN will no longer be the domain of the political and bureaucratic elites,” as aptly envisioned by Malaysia’s Foreign Minister Anifah Aman in 2013, would logically require the Association to reconfigure its traditional norms and practices. This certainly will not be easy, especially when ASEAN governments continue to hold sacred the dual principles of sovereignty and non-intervention. These principles need to be relaxed by augmenting and empowering the ASEAN Secretariat. The two watchwords for a post-2015 ASEAN would therefore be inclusivity and convergence. Inclusivity refers to the opening up of ASEAN to multiple stakeholders covering all spectrum of society, while convergence refers to the confluence of interests and authority under the single roof of the ASEAN Secretariat with a mandate to speak on behalf of all the member states. The doctrine that informs the watchwords and drives ASEAN’s post-2015 agenda is not power but people-centric. Be it in the security, economic, or cultural domain, ASEAN’s policy decisions and subsequent actions should be based on a “people-centered” framework. This framework calls for the incorporation of “people-first” in all policies and activities. It seeks to uphold good governance and discredit policies that may benefit national interests but come at great expense of the destitute, the marginalized, the discriminated against, the abused, the neglected, or the unwanted. The Kuala Lumpur Declaration could serve as the basis for this framework. A new roadmap with clearly defined goals drafted in cooperation with other stakeholders should be adopted for ASEAN’s next development phase. Naturally, ASEAN’s existing mechanisms, such as the ASEAN Intergovernmental Commission on Human Rights and the ASEAN Institute for Peace and Reconciliation, to name a few, need to be strengthened by creating an equal, synergetic relationship with grassroots organizations that possess knowledge, information, and experience in their respective fields. A people-centered approach offers opportunities for bureaucrats to converge with stakeholders in developing an ASEAN that is politically, economically, and socially responsible to its citizens. Benny Teh Cheng Guan is a senior lecturer at the School of Social Sciences, Universiti Sains Malaysia, Penang, and a visiting research fellow at the Centre for Policy Research, United Nations University, Tokyo, Japan. Canberra is duty-bound to speak up on human rights, and must review its defense assistance to states that flout international law.